North One Television is pleased to announce it is the new promoter and owner of the DirtQuake brand and event. 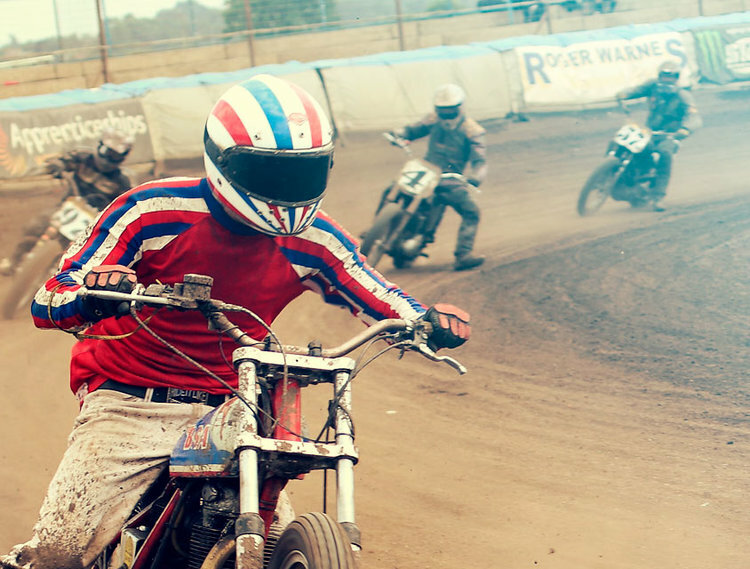 DirtQuake is an alternative motorcycling festival that encourages a diverse blend of bike fans, dirt racers, millennials, grease monkeys, celebrities, custom shop designers, speed freaks and weekend warriors to celebrate their shared love of motorbikes. Irreverent racing is at the heart of DirtQuake. The action takes place on high-adrenaline, loose-surface oval circuits without the hassle, rules and costs usually associated with motorsport. Dirt Quake is inclusive – giving riders, enthusiasts and even pro-racers a unique chance to take on all-comers. North One plans to hold races in the UK, Europe and US in 2017/18 on mud, snow and sand, allowing more bike fans than ever before to take part live and watch the show on television. With an ITV television deal already in place and multiple sponsors coming on-board, the company plans to grow DirtQuake globally building out numerous events around the world in the coming years. The next DirtQuake – at King’s Lynn in Norfolk on July 7th, 8th and 9th 2017 – will be the first event that receives television coverage, with a one-hour special planned for ITV4 at 8pm on Wednesday 12 July. It will also be super-sized compared with previous years, with the event held over a weekend rather than on a single day. Well-known names in motorcycling, particularly Guy Martin, have raced at DirtQuake every year and he will return in July, along with the likes Carl Fogarty and Neil Hodgson.